This petition has been created by Physicians for Human Rights . and may not represent the views of the Avaaz community. Physicians for Human Rights . Physicians for Human Rights (PHR) condemns the recent sentencing of Dr. Şebnem Korur Fincancı and Dr. Gençay Gürsoy. Dr. Fincancı, sentenced to two years and six months in prison, is a world-renowned forensic medical expert and president of the Human Rights Foundation of Turkey. Dr. Gençay Gürsoy, the founder and former president of the Turkish Medical Association, was sentenced to two years and three months. PHR sent a letter to Turkish President Recep Tayyip Erdoğan on December 20 expressing grave concern about this situation. Dr. Fincancı and Dr. Gürsoy’s sentences came as part of a larger judicial crackdown on signatories of a peace petition that was also signed by other respected Turkish academics in 2016. At least 63 other academics, of the more than 2,200 signatories, have received prison sentences, and 542 have been charged in connection with the petition. Dr. Fincancı and Dr Gürsoy’s sentences are markedly higher – a clear indication that, because of their high profile, they are being intentionally targeted for their domestic and international human rights work. 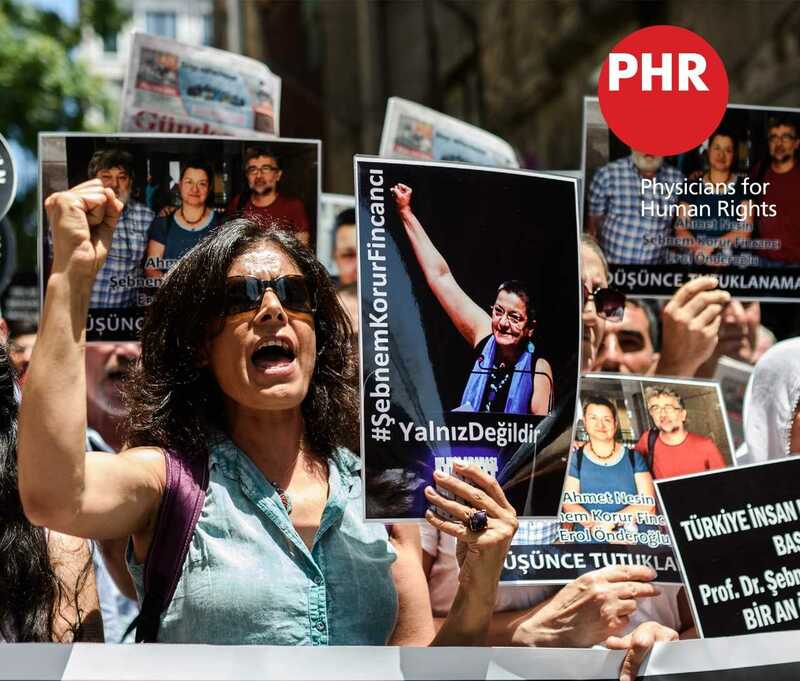 PHR reiterates its call for all charges against Dr. Fincancı, Dr. Gürsoy and their colleagues to be immediately and unconditionally dropped, and for an end to the unjust targeting and prosecution of human rights defenders in Turkey. Join Physicians for Human Rights in condemning the sentences against human rights defenders in Turkey, and call on President Erdoğan to drop all charges against them. Dr. Fincancı, Dr. Gürsoy, and their colleagues should be honored, not punished for their defense of human rights and peace.